My love affair with Nashville began long before I visited for the first time and years before I was lucky enough to live there. 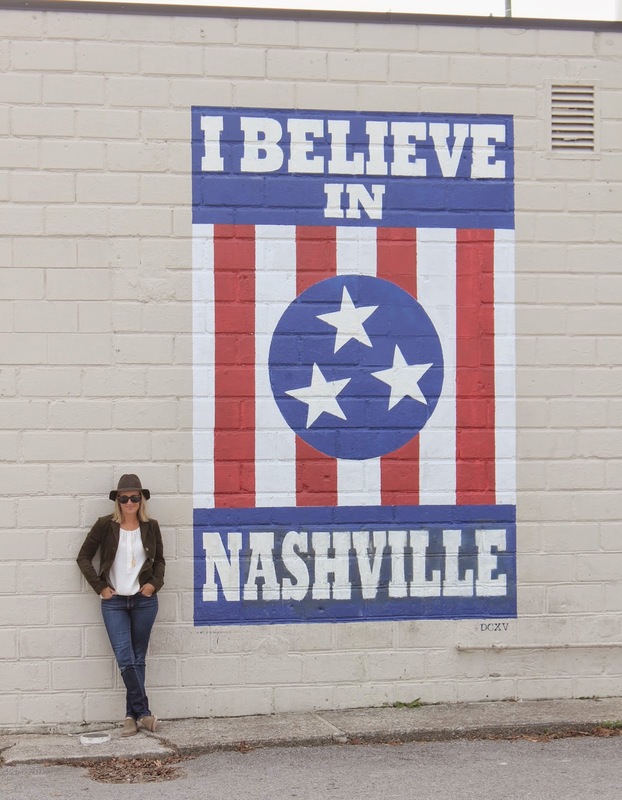 As a small child, I dreamed of Music City while I listened to the country crooners I idolized. Although I no longer live there, I am always thrilled when I get to go back for a visit. Scott and I drove up for a weekend getaway to see a show at the Ryman, check out some of the restaurants and enjoy the night life. Nashville today is not the same city I left a little over eight years ago (it seems that everyone else has discovered this middle-Tennessee gem), but I love it just the same. Friday evening we rolled into town with barely enough time to check into the Hutton Hotel, freshen up and head down to the Ryman for Jason Isbell and Amanda Shires (she recently played our local seafood festival). 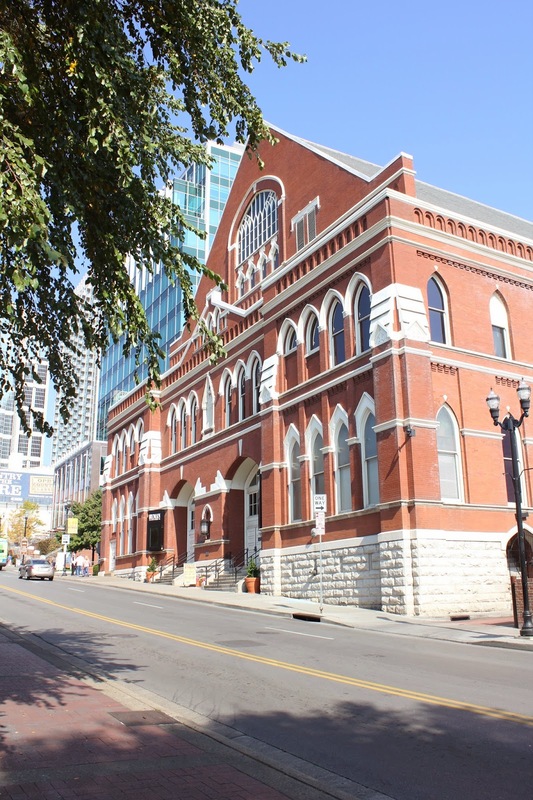 As the lights dimmed and the music started, memories of past performances on the hallowed stage of the Mother Church of Country Music flooded back. Memories like getting to see Zac Brown Band when they were just on the cusp of exploding; Lyle Lovett and His Large Band (it’s not big, it’s large! ); Dwight Yoakam rocking his Bakersfield sound; Merle Haggard singing “That’s The Way Love Goes” right after Scott and I got engaged (I guess you could say that it's "our song"); sitting on the fifth row when Emmylou Harris played the Opry one Nashville winter; and the highlight of them all, Kris Kristofferson the week he was inducted into the Country Music Hall of Fame when he got so emotional on stage that he couldn’t sing or talk for a moment. There are many more, but those are some of my favorites! I can now add the night that Amanda Shires opened for her husband Jason Isbell when he performed his critically acclaimed album Southeastern straight through and did an encore of Drive By Truckers hits. After the show, we walked down the famed alley way that separates the backstage door of the Ryman and the honky tonks of Lower Broadway. 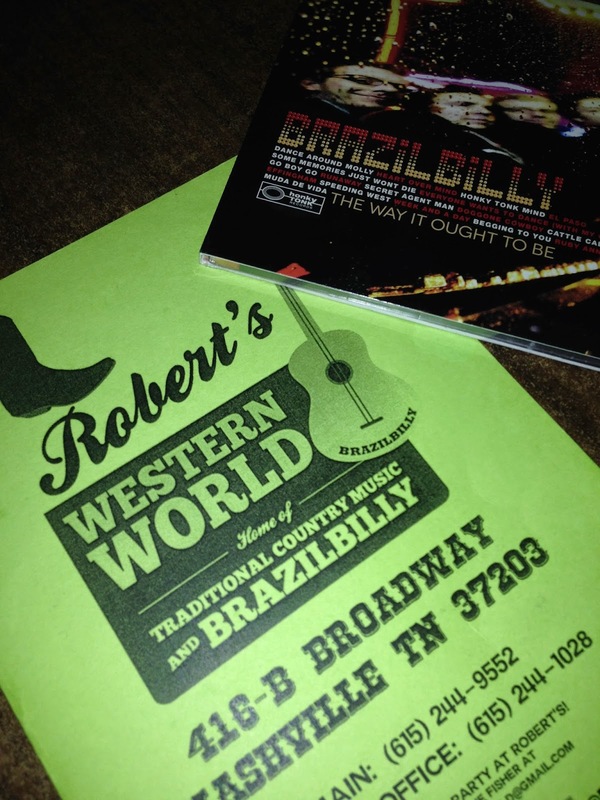 We ducked into the back door of Robert’s Western World to listen to the rockabilly stylings of Brazilbilly and grab a late-night snack. (Brazilbilly is a sentimental favorite for Scott and me because they played our wedding.) The place was thick with tourists (I guess I’m one, too, these days), but the band was still good, and the short-order cooks still deliver a good cheeseburger! We eventually returned to our wonderful room at the Hutton exhausted and happy. It was a perfect Nashville night! OMG! What fun! Have a great week! Thanks, Kelly! We had a great time! What a fun trip!! I've never been to Nashville but it's pretty high up on my list of places to visit. If you ever decide to visit, I can give you lots of fun things to see and do! Check back tomorrow for part 2! I stumbled upon your blog on the Lets Be Friends Blog hop and thought that I would read "Part One" before I read "Part Two" :) You are most definitely right about the change in Nashville. I've lived here for almost 10 years now, and it's crazy to think about how much growth there has been in that time. When I first moved to town (from a small town in Michigan), I thought "Oh my! There is SO much to do here!" And now I look back and I'm like "Oh my! There was hardly any of this stuff here when I first moved here." haha! Thanks for stopping by. I have to say, I was a little overwhelmed by the number of tourists on this visit! 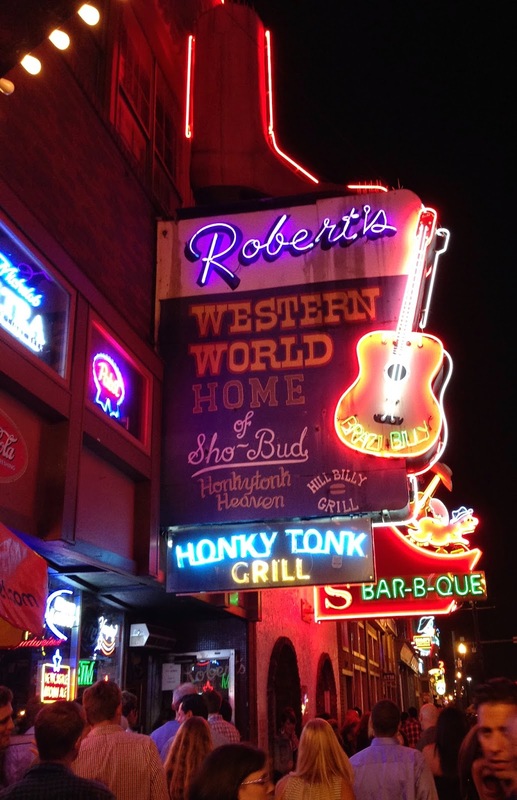 Then again, Nashville has so much to offer it was bound to be discovered. I would move back in a heartbeat, but unfortunately, I don't think my husband would come with me! Love wins again!